the past couple of years have been rough for Abby Lee Miller. In 2017, she was sentenced to 366 days behind bars for bankruptcy fraud — and shortly after her release, she was rushed to the hospital. The dance teacher turned reality star thought she was being hospitalized for a thyroid condition, but it turned out to be much worse than the 52-year-old expected. Abby Lee was diagnosed with Burkitt lymphoma, a rare form of non-Hodgkin’s lymphoma, which will rapidly become fatal if left untreated. However, in 2019 Abby Lee is ready to make her triumphant return to Dance Moms, or as she put it, "I need to get back to screaming at children." When does Dance Moms Season 8 air? Mark you calendars because the Lifetime series, now fittingly dubbed Dance Moms: Resurrection, is set to premiere on June 4. In a trailer for the new season, fans can see Abby undergoing surgery and — and returning to her infamous dance studio with a new wig but same old attitude. "There's people that counted me out, thought I was finished, considered the ALDC dead," she told her new students. "Well, I fought hard to be here and you have to be a fighter, too. You have to fight to get those legs straight, fight to get better feet, you have got to fight to be a champion." Abby Lee continued, "I have my own personal goals, and I have goals for the team. I need to be ready for that first competition. We need to make a statement on that stage that the ALDC is back and watch out." Why is Abby Lee Miller in a wheelchair? As we mentioned earlier, Abby Lee was diagnosed with Burkitt lymphoma in April 2018. 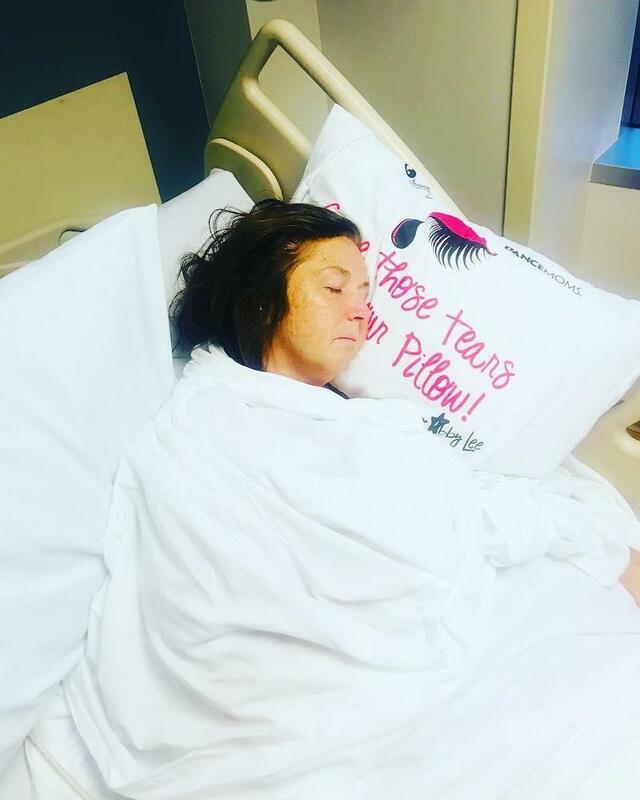 After going into emergency surgery for what doctors thought was a spinal infection, it was discovered that Abby Lee actually had the rare form of non-Hodgkin’s lymphoma. The cancer starts in immune cells called B-cells and can impair the immune system. "So much gratitude and love for those who listened, those who looked deeper and those who leapt into action," she wrote at the time on Instagram. "So much more I wish I could say .... about how quickly your life can change at the hands of others. Thanks for [prayers and love]." Abby quickly started undergoing chemotherapy, and in June she shared news of another emergency surgery with fans. "After another 2-hour MRI this morning, the pros thought I needed one more quick little emergency surgery! Ugh! I’m in recovery now and texting so everything must be OK, just hiccups in my plans!" she explained. "I'm on a tight schedule; shooting two projects and I need to get out of here and on with my life!!! Please keep me in your prayers. I'm grateful for all the well wishes!" Following the surgery, she gave fans another quick update, writing, "After the 2nd surgery, My back is finally on the mend. I just wish the top section & bottom would hurry along too! I had 52 staples perfectly aligned and now a bunch of crazy stitches are holding my neck & lumbar region together!" 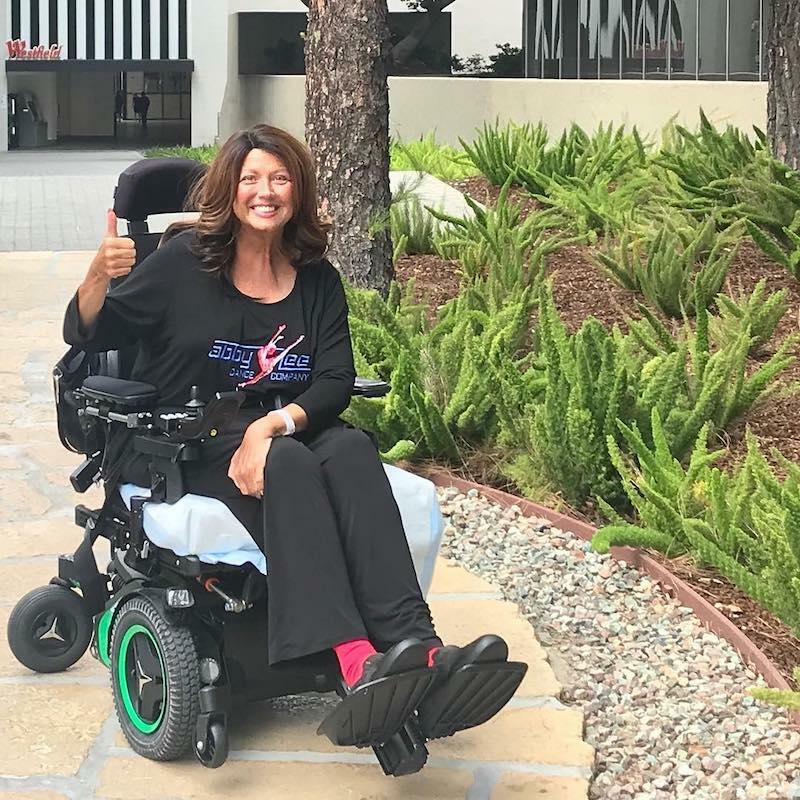 Due to the surgery, Abby Lee was reportedly unable to walk and reliant on a wheelchair. "Her mind is so sharp, but she can't move her legs. She has no mobility at all," a source told Radar Online. "She is going crazy. 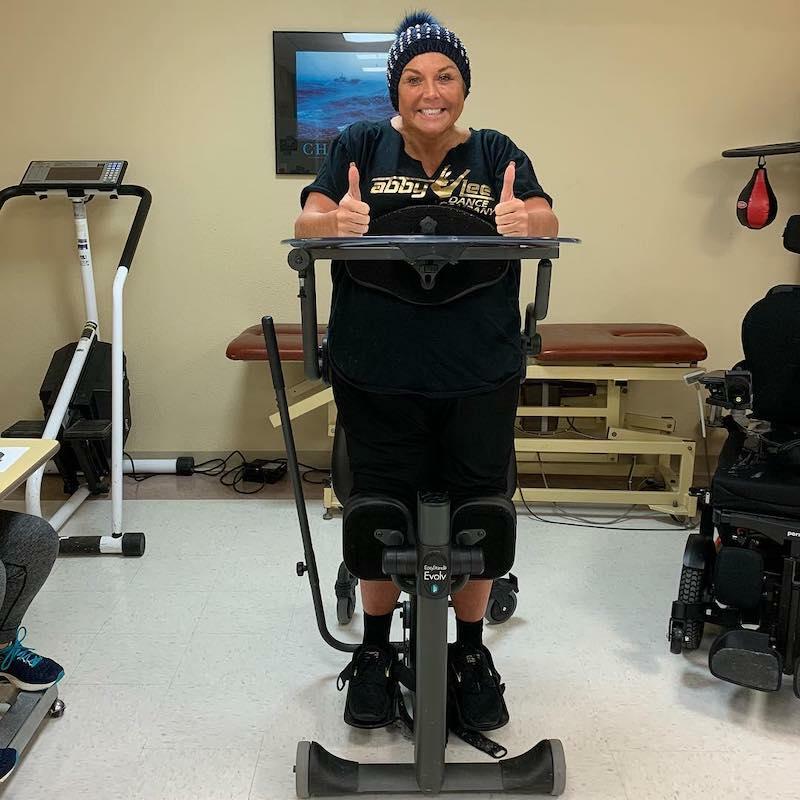 Everyone around her is encouraging her and making her feel like there is hope, but it’s not looking promising for Abby Lee to walk again." Six rounds of chemo later, Abby Lee is remaining upbeat and had starting to walk again. "Just put one foot in front of the other and soon you'll be walking out of the door," she wrote. Watch Season 8 of Dance Moms on Tuesday June 4 at 8 p.m. on Lifetime.